Located at an altitude ranging from 9,500-10,500 feet in Garhwal region of Uttaranchal state, Auli is a world renowned 'Ski Resort'. 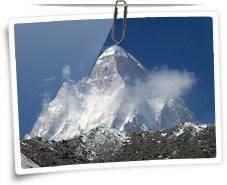 It is laden with snowy slopes an is equipped with the best skiing facilities in India. It is the place where the great sage, Adi Shankaracharya, attained enlightenment. Auli offers marvellous views of azure skies, steep mountains, temples and hot springs. Skiing courses are available for beginners. People face a little difficulty in accessing Auli, which requires an overnight camp to reach from Delhi (500 km), the nearest major airport. This renowned hill station, 380 km from Delhi, 220 km from Ludhiana, 120 km from Chandigarh and 250 km from Jallandhar, enjoys heavy snowfall in December-January. Despite of bone-chilling winter, the place is frequented by tourists from all over the world in the charm of fresh snow. It is a paradise for religious minded people as well as shopaholics. Kufri, Shilon Bagh, Narkanda and several other small hamlets around Shimla are other popular winter destinations. Trekking is a popular activity at Shimla. Located at a distance ranging from 300 to 400 km from Delhi, the entire belt of these destinations lies in the Kumaon region of the state of Uttaranchal. Snowfall starts from the end of December. There are a number of opportunities for adventure enthusiasts and nature lovers as well. Although it is highly frequented in summer, it is a popular winter destination also. The winter season witnesses heavy snowfall and therefore a number of tourists flock to Manali for the sheer experience of snow and related activities. Solang Valley is an ideal destination for all kids of winter sports including amateur level Skiing. This small hill station in the state of Jammu and Kashmir (46 km from Srinagar) is most frequented winter destination. Gulmarg is also India's most visited Ski Resort. It also has the highest golf course in the world. The air is aromatic because of the beautiful flower valley. Located about 120 km from Jammu in the state of Jammu and Kashmir, Patnitop is a premier hill resort popular for almost all kinds of snow sports and adventure activities. Kanatal, 30 km from Mussoorie and about 55 km from Dehradun, witnesses heavy snowfall from the end of December to March. It offers splendid views of the majestic Himalayas and is a good leisure for those seeking a bit of adventure. Located at a close proximity to Dharamshala and Dalhousie, in the state of Himachal Pradesh, McLeod Ganj is the abode of His Holiness the Dalai Lama. The place is visited for typical Tibetan culture, Tibetan handicrafts, ancient monasteries, and health clubs offering alternative therapies. The popular headquarter of North Cachar Hills district in the state of Assam, Haflong is the terrain of blue hills, green rivers and crystal clear waterfalls. October to February is the best season to visit Haflong as winter is the season when orange orchards and pineapple gardens are at their best. Wild orchids bloom in the dense greens and leopards prowl in its surrounding forests. In winters, when the entire country witnesses the chilliest winds, the coastal town of Goa prepares for the best of Christmas and New-Year parties. 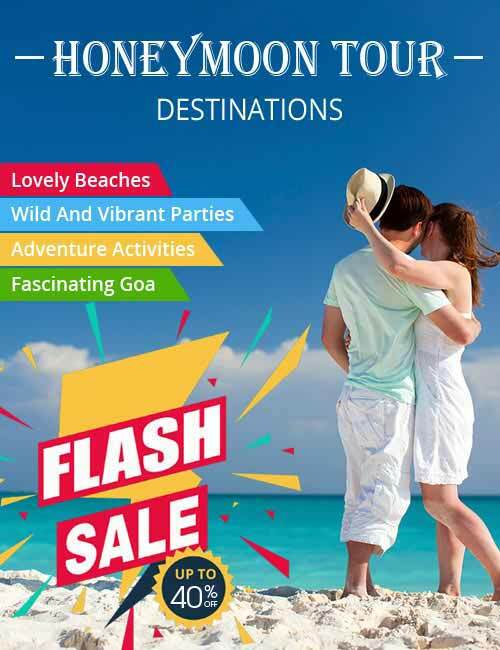 The sun, sand, sea and surf of Goa offers a wonderful partying experience along with the Feast of the Three Kings, the Goa Heritage Festival, the Konkani Drama Festival, and the Feast of Our Lady of the Immaculate Conception in winter season. The only hill station in the desert land of Rajasthan, Mount Abu is a paradise for pilgrims, trekkers, bird lovers and all sorts of adventure enthusiasts. Guru Shikhar (the highest point on the Aravallis), Nakki Lake (famous boasting site), marble Jain Dilwara Temples etc are a few major attractions. Mount Abu's Winter Festival (December 29-30) draws a number of tourists from the world around. India's first national park and a great home to over 50 mammals, 580 birds and 25 reptile species, Jim Corbett national Park is visited in winter season as it is the time when the rarest of animals can also be spotted easily. Visitors can see tigers, leopards, jungle cats, fishing cats, sloth bears, Himalayan bears, black bears, jackals, yellow throated martens, Himalayan civets, mongoose, otters, hares and elephants wandering in the park.